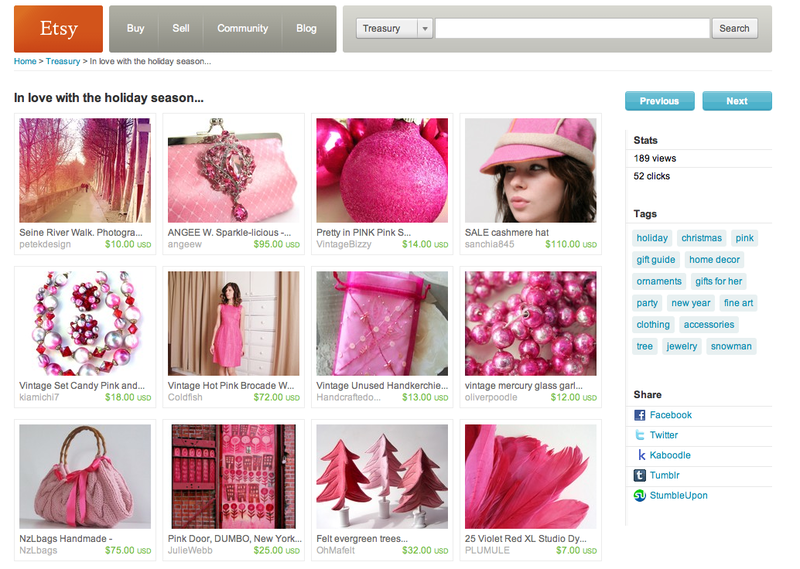 We couldn’t resist sharing this wonderful treasury of lovely fuchsia items curated by Etsy Curator Wintergarden. Wintergarden is also a wonderful crafter from Toronto who does lovely wool flowers corsages and scarfs. Not only is our Sparkle-licious Swarovski clutch bag in pink featured, but PLUMULE one of our favourite feather etsy shops is also featured on this same treasury! Check them out, they have a wonderful assortment of features of every colour imaginable.